Choosing a partner for your fish ia a quite difficult task. But can’t leave your fish alone in that big tank. So here are the list of some of the compatible partners for your betta. African Dwarf Frogs are the best tank mate for your betta. Fight doesn’t ocuur between betta and these frog because frog doesn’t look like any fish. Apple Snails is also a good choice as an betta tank mate because of its shell, betta can’t attack the snails because of their hard shell. Because of their clean bodies, betta doesn’t have any problem with shrimps and they produce very little waste. But always choose red cherry shrimp if you had the choice. These tetras are same as betta. They share the same water condition, low pH, high temp, and soft water as bettas. So, these are also the smart choice. Snails is the good choice because of their hard shell goldfish can’t harm them. Shrimps are also the good choice because they can benefit in two ways. First, when goldfish is hungry they can serve as a food and secondly, they can act as a algae eater. 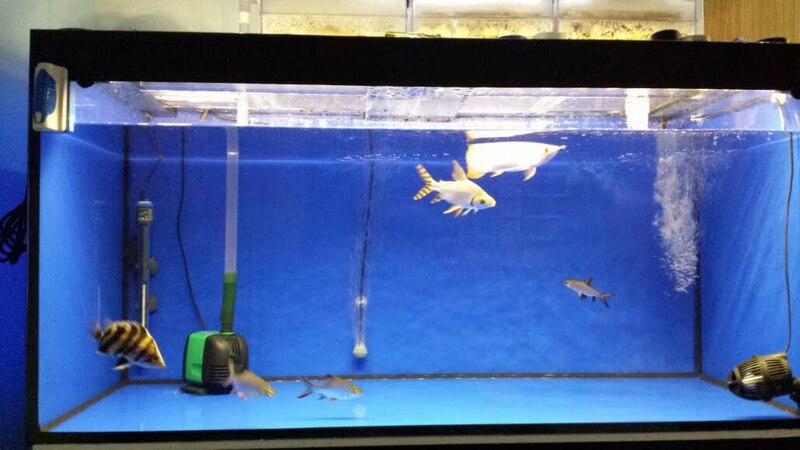 Feeder fish is also a good choice because of their calm nature. Plecos are also the same as feeder fish. Plecos are also of calm nature and they also act as a algae eater. Weather loach are also the good choice because they are also the coldwater fish. Snails is the good choice because of their hard shell angelfish can’t harm them. These are also the good choice because of their calm nature and they also friendly fish. You can also add fake or real plant to make them secure. Loaches are of calm nature that's why they don't harm your fish. African dwarf frogs are one of the best tank mates for your tetra. They are small in size, so that they can’t eat your tetra and they also produce very little waste. Apple is also the good choice. They have a hard shell which causes no problem to them and they also eat algae that is also beneficial for your aquarium. Guppies are small and calm that make them similar to tetras. Cardinal tetras is the best tank mate for your discus. Cardinal tetras are suitable with warm and acidic water like discus. Cardinal tetras are beautiful and fun to watch. Corydoras catfish are good for aquarium maintenance. They eat all the left up food which is good for aquarium. Ancistrus are good for your aquarium because they eat up all the unwanted algae. Loaches are of calm nature that’s why they don’t harm your fish and are good for your dicsus. Black convicts are small in comparison to oscar. They are also aggressive and tough enough to take the occasional chase. Firemouth are shy in nature and not as bold as convicts. But they are compatible tank mates for your oscar. Dempseys are also the good tank mates for your oscar. They are medium in size. Some are aggressive and some are timid. Chocolate cichlids are peaceful in nature which prove them a better tank mate for your heavy oscar.